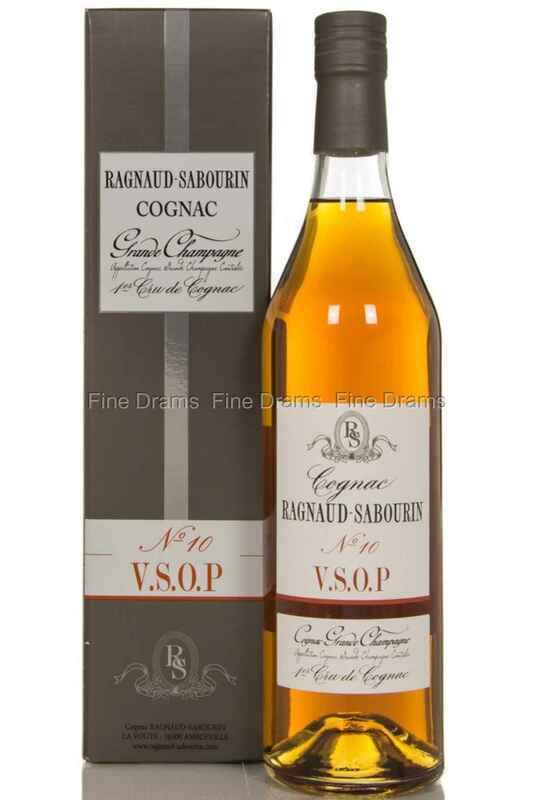 Ragnaud Sabourin are one of the most highly regarded Cognac estates in the region. Family owned since their foundation in 1850, the distillery maintains a commitment to producing Cognac of the very highest quality. This is demonstrated by their insistence on using only grapes grown in the premier cru of Grande Champagne, widely regarded as the highest quality cru in the Cognac region. This VSOP has got to be one of the best in its category. On the nose it offers staggering aromas of floral honey, sweet grape wine, toasted oak, and warming baking spices. The palate is thick and buttery, with a slightly tannic quality giving way to flavours of pear, apple, toffee, white grape juice and dense oak. The finish is medium in length, with woodspice and floral notes returning. Being a VSOP, this Cognac has been aged for at least four years in oak casks. Another top notch offering from one of our favourite producers in Cognac.